Premier’s Harmony Dinner was a wonderful evening. Fantastic to celebrate diversity & multiculturalism in this beautiful state, NSW, with 1500 people in this sold out event. Wonderful to meet so many friends from various sections of NSW. It was a matter of privilege to have met and interacted with Premier, The Hon Gladys Berejiklian, Ministers Ray Williams, Matt Kean and Victor Dominello. We support Multiculturalism within the Australian ethos and values, and events like this go a long way in welcoming diversity and Multiculturalism. Thank you Multicultural NSW and thank you Premier. Liberal friends of India (LFI) is a great group which, if managed smartly, can be a great platform for networking among Indian Australians, who support Liberal party in NSW. These people don’t necessarily have to be members of Liberal Party, as long as they support Libs. LFI, with The Hon Philip Ruddock as the Patron and Matt Kean, MP for Hornsby and Nihal Gupta, as the Co-Chairs, started with a great agenda, energy and enthusiasm, but the dysfunction inside LFI, largely due to unsatisfactory dynamics among Deputy Chairs and lack of vision among some of them, has not allowed it to deliver much. Some deputy Chairs have poisonous relations with one another, which prevents LFI to be a productive platform. As a result, there has been hardly any activity under the banner of LFI of late. This example below will throw a lot of light on the inner working of LFI. A particular Deputy Chair, who has very little knowledge of, or networking in, the community, played a lot of undesirable politics in choosing the guests for invitations for a LFI meeting in which the Federal minister, Mr. Christopher Pyne, was the distinguished guest a few years ago. Several members, including many founding members, of LFI were intentionally not invited and several Labor supporting members of the community were invited. This particular Deputy Chair is totally out of depth and literally has no idea about our community. After being briefed by the competing Deputy Chairs about the game plan of this particular deputy Chair, I contacted the Chair of LFI, Matt Kean, who overruled that Deputy Chair and invited me and others. That particular deputy Chair was ignorant about the fact that I was in the launch of LFI and attended the subsequent special dinner with Julie Bishop as a guest of LFI Chair, Matt Kean. This deputy Chair was not even in this meeting. A minister, who supports this particular Deputy Chair of LFI quite blindly, got involved in this saga, leading to a terse email from me to that minister. Even after having the invitation from the LFI Chair, I chose not to attend because I felt sick and tired of the politics played by this particular deputy Chair. Because of short sightedness and lack of vision from those deputy Chairs, LFI has become totally inactive and non-productive. This result is because of those deputy chairs, who are self-centred, unable to work with one another and lack leadership. They are not able to put the interest of Liberal Party above and ahead of their partisan politics in the community. They are obviously not the bright stars of Liberal Party and certainly not of our community either. There’s no doubt in people’s mind that the Australian Labor Party (ALP) is much smarter in networking with Indian Australians. They have a much better relations and networking with Indian community as compared to Liberal party. If I were to offer a few suggestions to the Liberal Party, these suggestions would be as follows. 4. 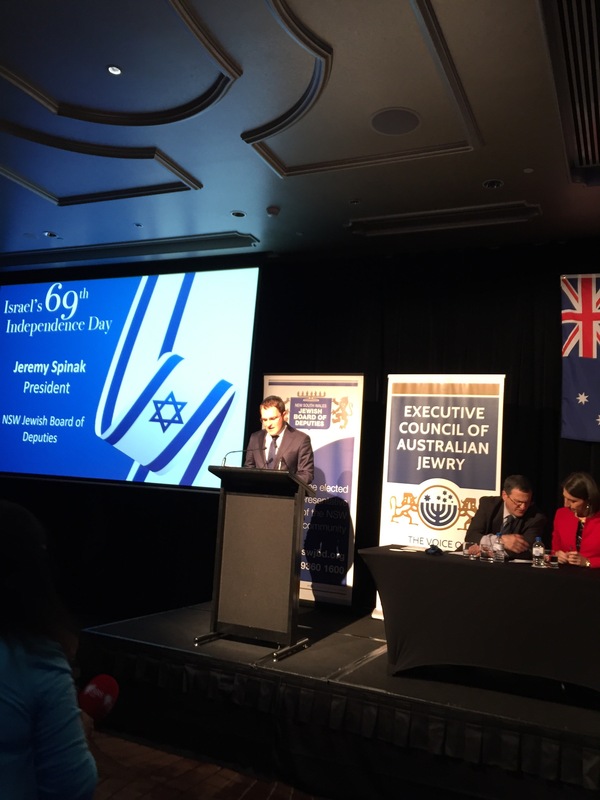 LFI should have a calendar of events throughout the year and these events must include Indian Independence Day celebration, Diwali, Australia Day and Indian Republic Day and a few more key events, which should be attended by the top political and government leaders from the Liberal Party. My view is that there are a lot of positives in having an active and dynamic platform like LFI. I would be remiss if I do not make a comment or two about similar platform in Australian Labor Party. Labor members of Indian community should run this group, not persons of non-Indian heritage, and should be those who are people of influence and have vision. They should have the intellectual capacity to understand that ALP’s interests come above and ahead of their own interests. I hope that the Liberal Party’s director, Chris Stone, and current chair of LFI, Mat Kean, will act thoughtfully and reform LFI to make it a productive platform for Liberal Party’s influence and networking among Indian Australians. The very same comments are also applicable to Labor Party’s Kaila Murnain and Luke Foley. I was honoured to be invited to attend The 20th Chand Raat Eid Celebration in Rosehill Gardens, Rosehill, NSW. 20,000+ people attended the event. 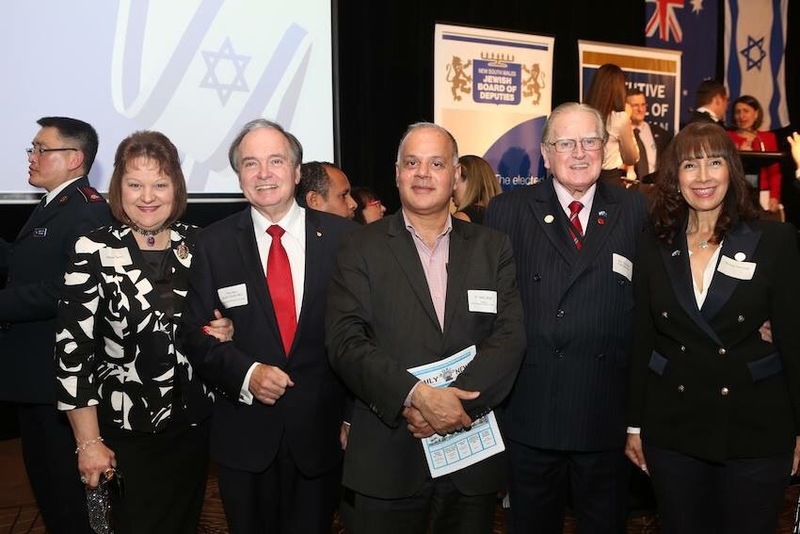 Premier of NSW, Gladys Berejiklian MP, Minister for Multiculturalism, Ray Williams MP and Lord Mayor of City of Parramatta Council, Andrew Wilson were in attendance, along with many MPs and Councilors. It was a hugely successful festival with jam packed crowd. Congratulations, Syed Atiq Ul Hassan. And thank you very much for the invitation. This will PROTECT DIVERSE COMMUNITIES from individuals who incite or threaten violence against people based on their race, religion, sexuality and HIV/AIDS status, and will carry a maximum three-year jail sentence and a fine of $11,000. The legislation will create a new offence in the Crimes Act of publicly threatening or inciting violence against people on the these grounds. The path of success was difficult, because a few ministers were not keen to amend section 20D, but active work by ministers like Ray Williams and Mark Speakman has overcome the resistance. I was made aware of this development by Multicultural Minister on 26 May, 2018, when he addressed a multicultural community forum in Strathfield, but was requested to not make it public. I kept my word. It is indeed great to see NSW Government has listened to the concerns of our communities and responded to them in a positive way. Nobody can be allowed to harm the harmony among the communities in NSW. Punishment will be given if anyone tries to incite violence against others. “The new laws send a very clear message to offenders that we will not tolerate behaviour which risks people’s safety”, Mr Ray Williams, Minister for Multiculturalism said, and we wholeheartedly support him. Thank you to Premier, Gladys Berejiklian and NSW Government, especially Minister for Multiculturalism, Ray Williams and Attorney General, Mark Speakman for this much needed and overdue action. 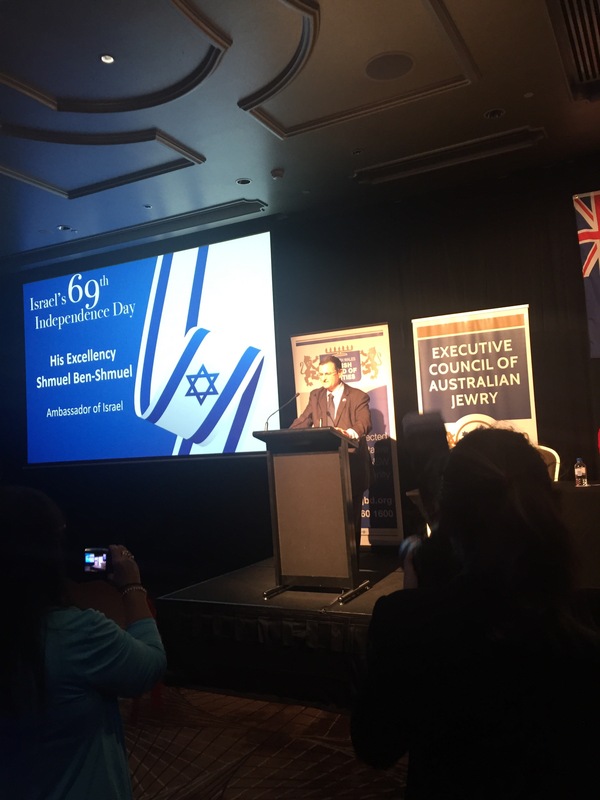 I participated in the celebration of Israel’s 70th Independence Day in Sydney yesterday. 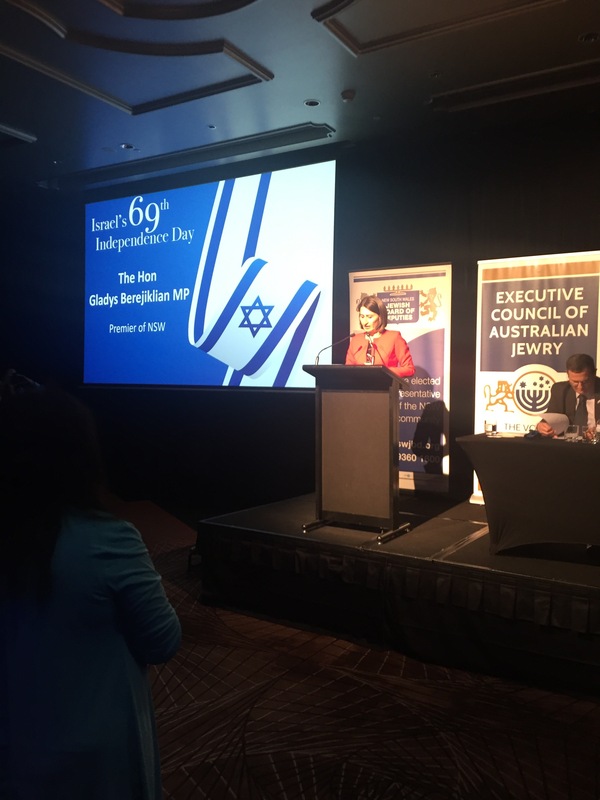 NSW Jewish Board of Deputies organized the celebration at Four Seasons hotel in the CBD, which was attended by the Premier of NSW, Gladys Berejiklian, Minister Ray Williams, many MPs, MLCs, Leader of Opposition, Luke Foley, diplomats from more than 20 nations, multicultural community leaders and faith leaders. Israel’s Ambassador, H.E. Mark Sofer, was in attendance too. He spoke and outlined the achievements of Israel in the field of innovation, technology and agriculture. 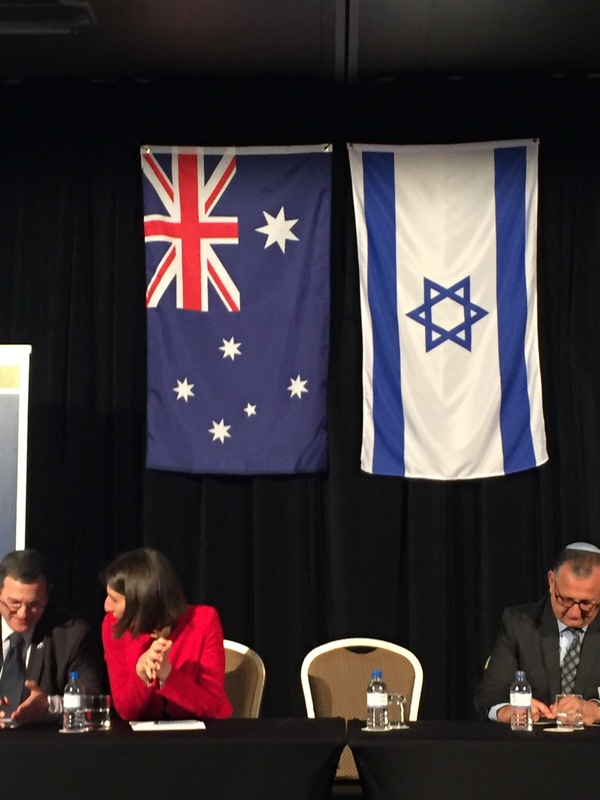 Premier described the close relationship which NSW has with Israel in a variety of fields. There was a short video speech from Israel’s Prime Minister, H.E. Benjamin Netanyahu. Like previous years, this event was a high profile celebration. The typical Israeli cuisine and select top grade wines were enjoyed by the guests. The hospitality was excellent. As would be expected, the security was elaborate and tight. I was pleased to be at the celebration and caught up with many including the Premier, Leader of Opposition and MPs and MLCs. It was great and a matter of privilege to be invited to attend NSW Premier’s Multicultural Media Awards tonight at the Waterview, Bicentennial Park, Sydney Olympic Park, NSW. These awards honour the quality journalism from the thriving and highly competitive multicultural media in NSW. Multicultural journalists won top awards under various categories. Indian Link media, as before, was finalist in many categories. Gurcharn Singh Kahlon, a Punjabi journalist, was a finalist too. Congratulations to all finalists especially Tia Singh (Indian Link) and Vijay Badhwar (The Indian Down Under), who were the winners in their categories. Wonderful to catch up with the Premier of NSW, The Hon Gladys Berejiklian and Minister for Multiculturalism, The Hon Ray Williams, along with so many media people including our own community media personalities and friends. One thing which was very clear was that these awards are very important as they create healthy competition and help improve the quality and standards in multicultural media in NSW. 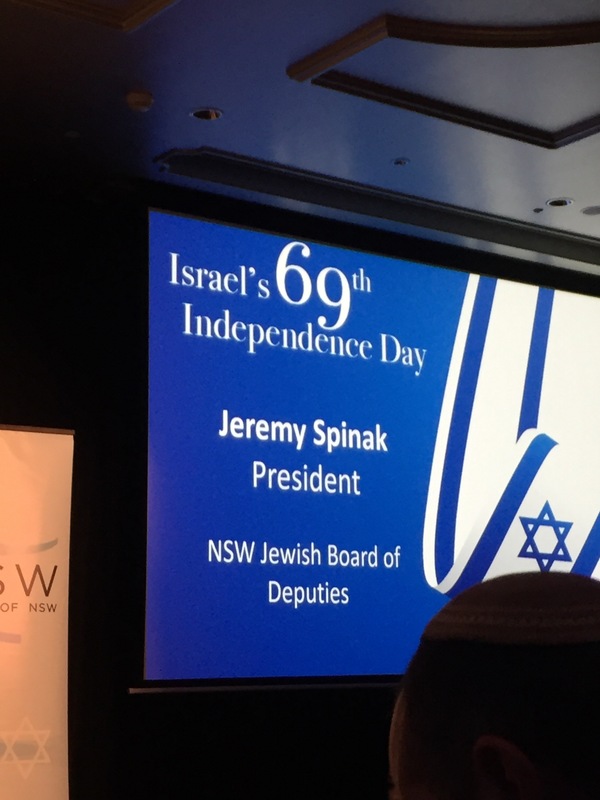 I was privileged to be invited to join Jewish community of NSW for the celebration of 69th Independence Day of Israel at Shangri-La Hotel, Sydney. Premier of NSW, Gladys Berejiklian, NSW Leader of Opposition, Luke Foley, many ministers and MPs, key community and business leaders were among approx 500 invited guests. Israel is the only successful and working democracy in the Middle East. Israel is a world leader in innovation in the field of Defence, health, water and agriculture. I am a friend and supporter of Israel, just like millions of Indians all over the world. 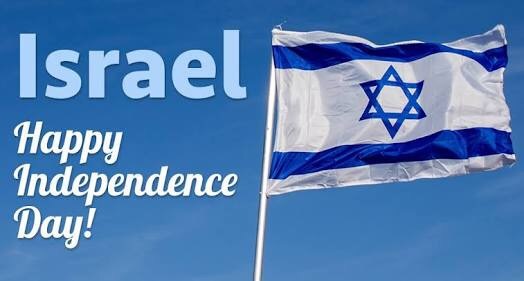 Happy 69th Independence Day, Israel!